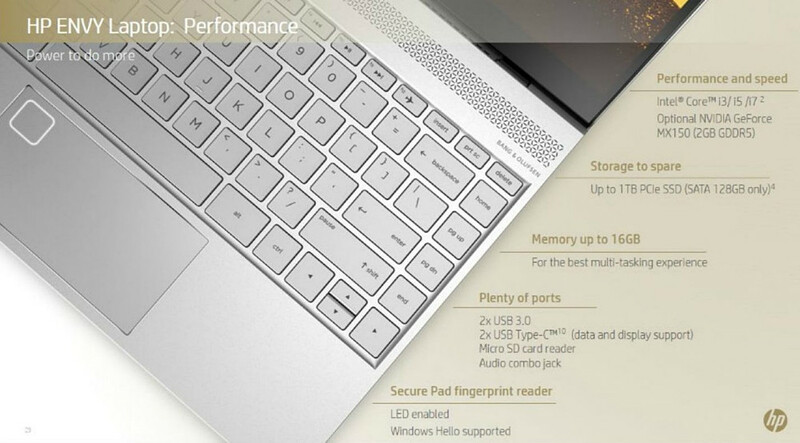 HP's Envy 13 unveiling also revealed Nvidia's GeForce MX150 graphics card. The card is, for all intents and purposes, a mobile GT 1030, and is geared toward ultrabooks and similar low-power notebooks. Yesterday's announcement of the HP Envy 13 inadvertently served to officially introduce another product: a new Nvidia graphics card. The GeForce MX150 is a discrete notebook graphics card that, according to reports, is essentially a mobile version of the recently-released, GP108-based GeForce GT 1030. Although the card's existence had been leaked a few months ago, this is the first time it has been officially included alongside a laptop. While there are no confirmed specs just yet, the MX150 is known to include 2 GB of GDDR5 memory. The graphics card is oriented toward customers who want a laptop with low power requirements, such as an ultrabook, that packs a bit more of a punch than what integrated graphics can provide. For now, the Envy 13 is the only known notebook with the MX150. With Computex on the horizon, there is a chance that we will see more laptops packing this card, and maybe some official specs will surface, too.